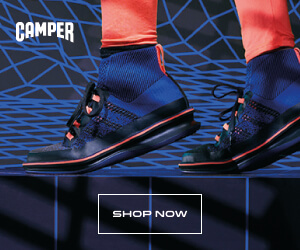 Dear Publishers, An electric combination of curves and color, Rolling is Camper’s all-new urban offering for F/W 2018, featuring dynamic Michelin grip outsoles and tech-infused textiles streamlined for cruising the city streets. Each season, we work with international industry leaders to engineer footwear that is built with innovation and technology at its core. Discover how we use Michelin grip technology and other advanced materials to bridge the gap between design and performance.